Uponor 16X1.8mm Comfort Pipe PLUS available in 240m and 640m. 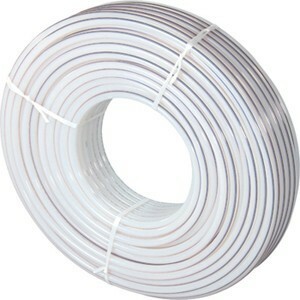 Diffusion-resistant PEX pipes, four-layer (PEX – adhesive agent – oxygen barrier – adhesive agent), for radiant heating and cooling applications. Maximum operating pressure is 6 bar. Maximum temperature operating 70°C.